Will the defending champions be able to finally get back on track? At one point in the 2019 LCS Spring Split, Team Liquid looked like an unstoppable force, while FlyQuest were struggling to find their identity. Now, these teams will collide for a shot at the LCS crown. Liquid, who finished the regular season with a league-best 14-4 record, are the definite favorites, but it’d be foolish to count out FlyQuest. 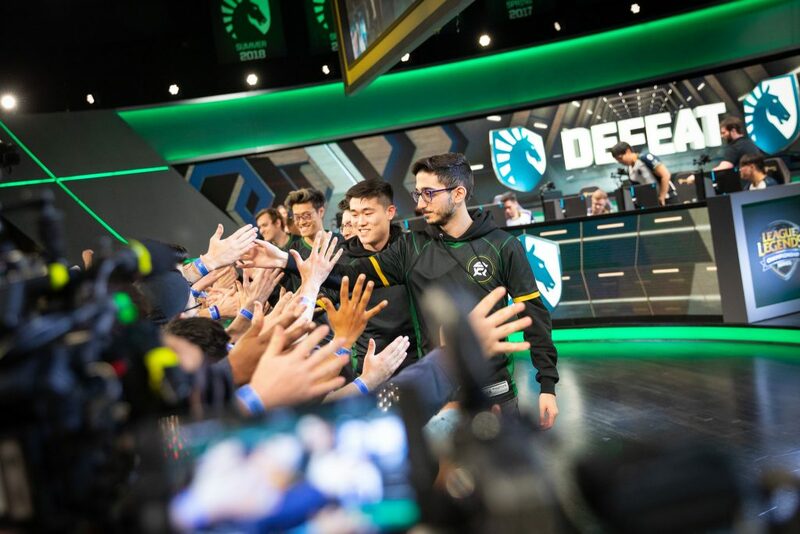 As a team comprised of a few young and relatively inexperienced players and some of the most prominent veterans in the league, FlyQuest finished in Liquid’s old spot (fourth place), but looked like a team that improved greatly over the course of the split. Winning this match would mean a third-consecutive LCS finals appearance for Liquid. They came away victorious in the previous two, and if they’re able to return to their midseason form, they’ll likely clinch that third title. It’s not that simple, though, and FlyQuest are certainly aiming to make their first LCS finals appearance in team history. With the matchup looming, let’s take a look at the biggest parts of FlyQuest vs. Team Liquid. The most intriguing matchup in this series will be in the mid lane. 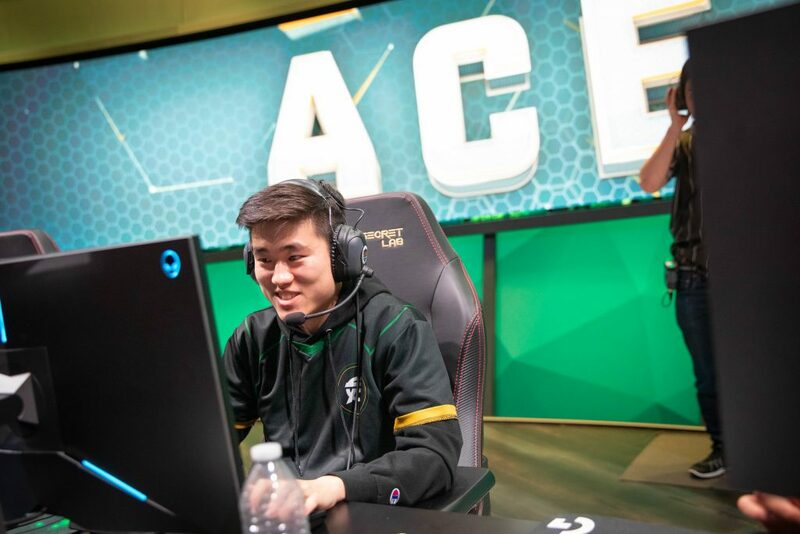 While Eugene “Pobelter” Park is probably not someone who holds grudges, it’s hard to imagine him not being a little more motivated than usual to exact revenge on his former team. Pobelter won the last two LCS splits on Liquid’s roster, but after disappointing placings at international events, TL replaced him with former C9 mid laner Nicolaj Jensen. This has seemingly worked out, evident by Jensen’s incredible form this split. Among LCS mid laners, Jensen ranks first in KDA at 14.17. He also ranks first among starting mid laners in gold per minute, which shows that he’s possibly the most well-rounded mid in the entire league. And while Jensen has been near or at the top, Pobelter has been closer to the middle of the pack. He ranks fourth in KDA, sixth in gold per minute, and sixth in CS per minute. This doesn’t take into account the superior talent that Liquid’s roster contains, though, which is always helpful to a mid laner. 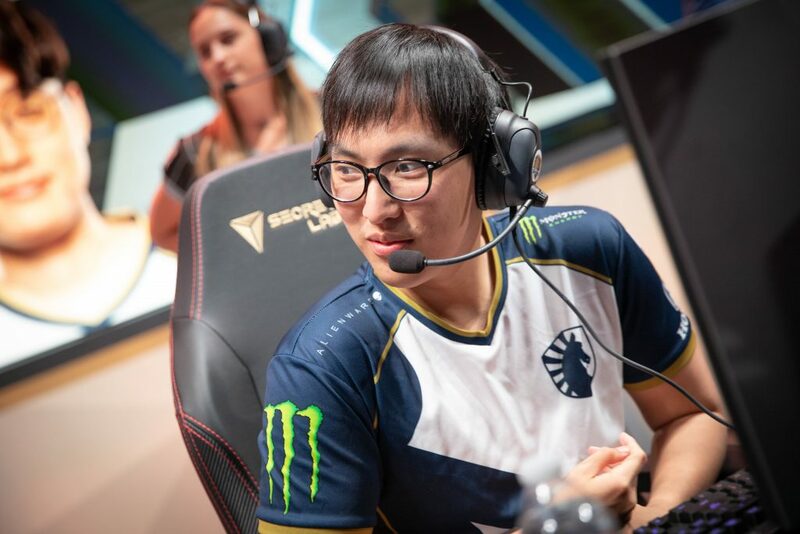 Not only does Liquid have two former world champions on their roster, but they also have two of the most experienced LCS players: Yiliang “Doublelift” Peng and Jake “Xmithie” Puchero. But as we know, the battle of the mid lane is an extremely important one, and it can be the difference between victory and defeat. In the first match between these two squads, Jensen’s Syndra won the mid lane battle. And in the second match, Pobelter’s Corki came out ahead. Both teams will certainly be looking at their mid laners to win or at least cancel out their opponent. In the bot lane, we have a matchup we’ve seen plenty of times before. Liquid’s DoubleLift will face off against FlyQuest ADC Jason “WildTurtle” Tran in a remix of a classic LCS rivalry. While DoubleLift isn’t on CLG, and WildTurtle doesn’t sport one of those snazzy TSM jackets anymore, the ADC battle remains the same. The veterans remain as some of the best laning phase ADCs in the entire LCS. Possibly the biggest difference, though, is that they both have different supports—one is a two-time world champion and one is playing in his second LCS playoffs. Jo “CoreJJ” Yong-in, who will be flanking DoubleLift, has the experience advantage over Juan “JayJ” Guibert. But JayJ has seemed increasingly more comfortable playing with fellow Canadian WildTurtle. If JayJ can even just neutralize the impact of CoreJJ, maybe FlyQuest doesn’t have to win through Pobelter’s play, but through WildTurtle instead. One of the biggest talking points in esports is momentum, and that’s for good reason. When you’re winning or at least playing well, it’s easy to keep up that performance because you’re just in a better mindset. Conversely, it can be tough to break out of a losing streak because your own mind is reminding you of the previous losses and how each mistake may cost you a crucial victory. Unsurprisingly, momentum is one of the major parts of this Team Liquid vs. FlyQuest encounter. While Liquid had six perfect weeks in the LCS this split and locked up the first seed relatively early, they’re slumping at the worst possible time. 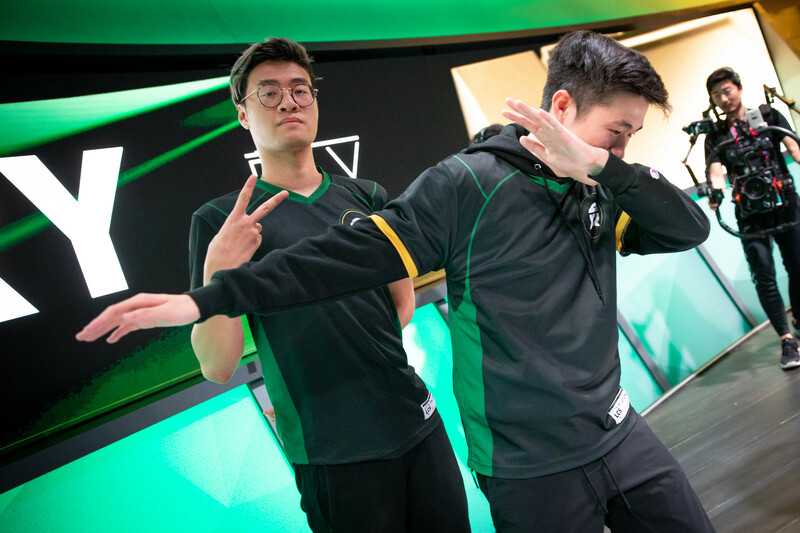 In fact, the two-time defending champions have lost their last three matches, the first of which was a 40-minute defeat at the hands of FlyQuest on March 17. Luckily for TL, FlyQuest had a pretty terrible final week of the regular season, dropping both of their games—just like Liquid did. FlyQuest got the chance to redeem their March 24 loss to Golden Guardians twice, however, in the form of a same-day tiebreaker and a best-of-five series the next week. In both instances, FlyQuest came out victorious. Of course, having some momentum doesn’t guarantee a win. FlyQuest will need more to go right than just having confidence in themselves. A week off from games may have also helped Liquid, who could realistically mentally reset after a few subpar weeks. If they didn’t, however, it’s going to be a tough five-game series for the defending champs. Liquid and FlyQuest will begin their battle at 2pm CT on Sunday, April 7. You can watch the entire match on the official Riot Games Twitch channel.